The DiRT series has had a bit of a checkered history. 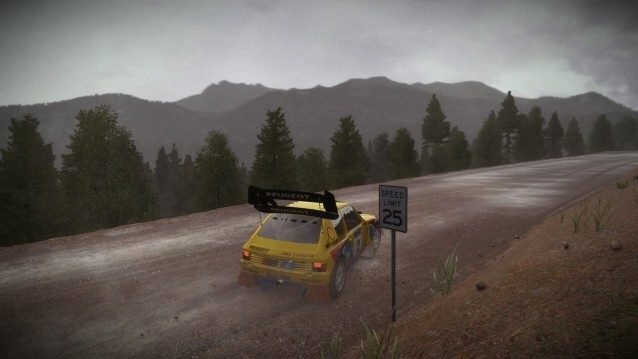 From the first game’s rallying roots, to the ‘xtreme’ era pandering of DiRT 3, and finally the game that brought the series to a lasting hiatus – DiRT Showdown. To say that the series has a split fanbase would be an understatement. 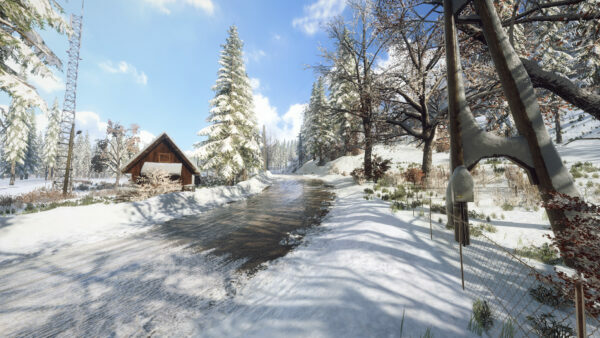 However, in early 2015 a new title arrived on Steam Early Access, promising a return to the true core of what makes a good rally game. Shipping with an outstanding driving model that would be the best in the business, it would build up a great selection of rally stages, alongside a car lineup that branched across the decades. 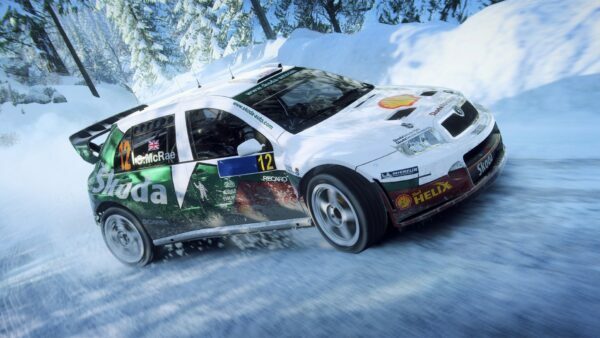 PC players raved about this latest entry, pointing out it lived up to most of the expectations Codemasters set in the beginning. Move over to April 2016 and that game has made it to console: DiRT Rally is finally available for PS4 and XB1 players – say hello to the new standard in rally racing. Full Disclosure: This review of DiRT Rally is based off the PS4 version, which I’ve been playing for about 11 hours so far. 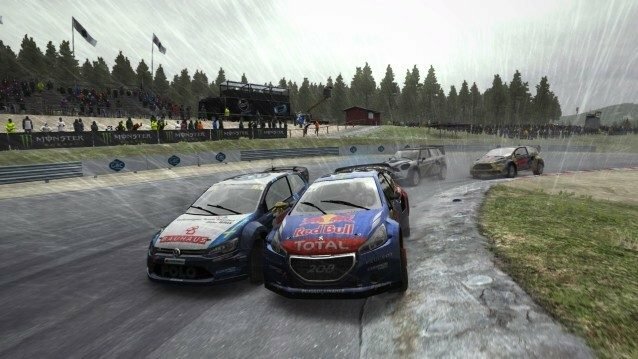 DiRT Rally has a singular aim: be the best next-generation rallying experience on both console and PC. Instead of being distracted with trivial features or celebrity endorsement, it is as simple as a game gets. Right from the first time the game boots up, it’s apparent in the tidy UI (with a minimalist soundtrack) showing three real simple gameplay options: Career, Leagues and Custom Event which are as straight-forward as they sound. Career is the meat of the title: Leagues give the game its competitive online feature; and Custom Event is about setting up the challenge of your choosing with the slightly limited factors that you can actually change. There are no precipitation sliders or exact times of day to play with, which is a shame. Straight-forward as it gets…yet stylish. Career mode puts the player in charge of a rally team moving through the ranks on the 3 main disciplines: Rally, Hillclimb and Rallycross. Starting in the open championship, the main goal is to get to ‘master’ class through a 6-stage championship for each competition level. Players can choose which car class they wish to participate in for each category, so for example you could do a whole career in the 1960s cars if that took your fancy or change class each ‘season’ – the choice is yours. The backbone of the career mode is provided through earning credits that can be subsequently used to purchase cars and improve your team by hiring engineers and other staff. Truth be told, the staff mechanic isn’t a huge deal and although it’s nice to have, for 95% of players it will be a simple ‘buy the most expensive staff member’ affair to make your team better instead of an interesting aside. That being said, I’m glad it isn’t too overbearing as this isn’t a team management simulation at the end of the day, but even something as simple as choosing a team name and a livery would have been appreciated. 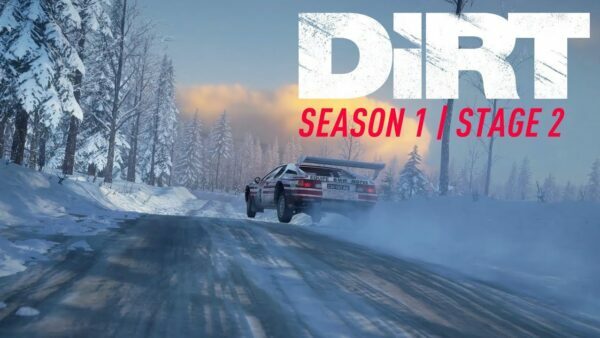 The classic ‘there’s something for everyone!’ line game PR companies love throwing around doesn’t apply to DiRT Rally. 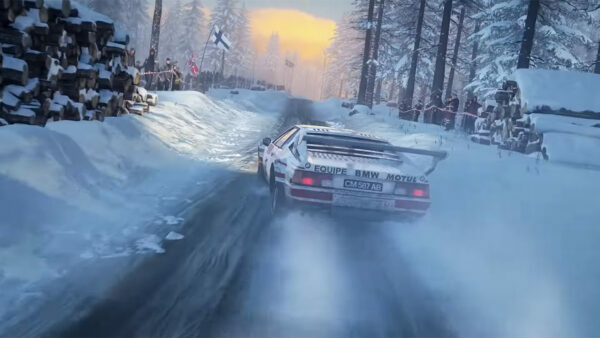 This is very much a game for those who want to throw a plethora of historic rally cars around worldwide locations. Speaking of which, Codemasters has done a great job of selecting cars and locations for players to dive into. Vehicle selection ranges from the timeless MINI Cooper S to the modern Citroen DS3 RX. To get specific, DR features cars from every era from the 60s straight through to the 10s, inclusive of the Group A, Group B, Hillclimb, Rallycross and F2 Kit Car series. It’s an extensive car list that barely left me wanting – although having the Lancia Delta HF Integrale but not the Toyota Celica ST205 seems like pure madness to me personally! Worth mentioning: cars are specific to their discipline, so you won’t be able to drive any Pikes Peak cars in Rallycross/Rally or vice versa. On the track-list side of things, Codemasters have packed six locations into the retail game: Greece, Wales, Monaco, Germany, Finland and Sweden. Each locale has 4 stages (with reverse variants) and although half a dozen is pretty small compared to other games in the genre, the sheer difference between each country makes up for it. Germany is all about high speed wide-road sprints whereas Wales is one of the most intricate stage hosts where being an inch off can cost you a mile. If the co-driver says ‘don’t cut’ in Wales, you bloody listen! 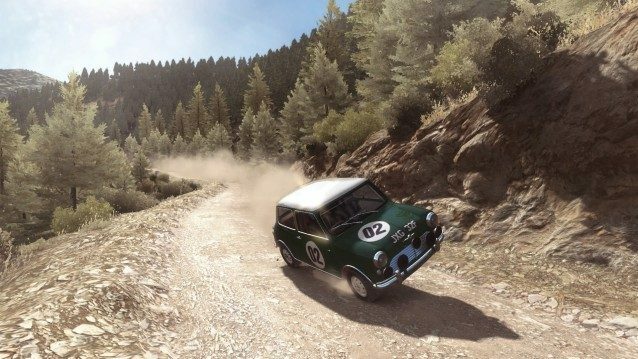 The area DiRT Rally aims to impress the most in is through the driving experience itself, aiming to be a full simulation of the motorsport by providing a level of fidelity not quite reached in other games on the market. 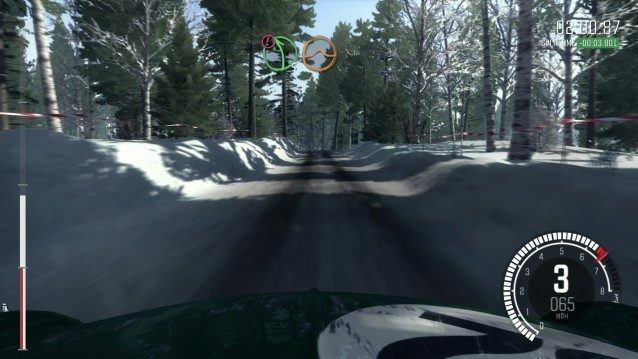 In my opinion, DiRT Rally has created the definitive rally experience on console. Although the car list might seem small for some (just over 50 cars) this is compensated by the fact each vehicle has been faithfully recreated both visually and mechanically. The MINI Cooper S is a great starting point thanks to its forgiving handling, 4-speed gearbox and containable speed. 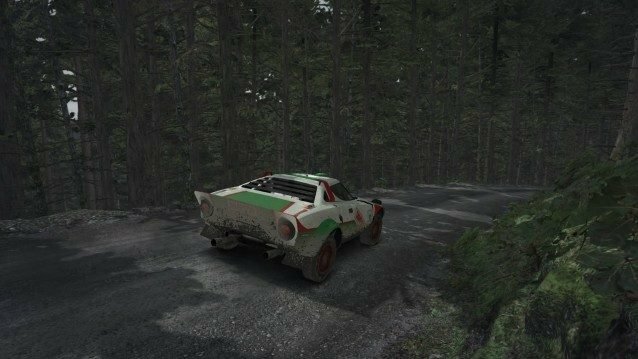 Conversely, the Lancia Stratos is a squirrely, unforgiving drive that sharply reacts to throttle input and steers like an infant experiencing a sugar rush. To be fast in this game a conditioned reflex is an absolute must. 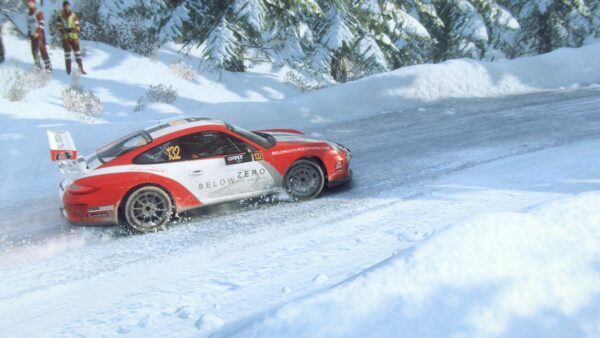 The game will be very tough for those not accustomed to real rally driving techniques – something Jordan experienced in February – but the pay-off for learning these techniques and putting them into practice makes for a rewarding experience. The Stratos is a right handful. Similarly, between the three main disciplines, each have their own unique characteristics as you would expect from a simulation game like this: Rallycross feels more like a circuit based racer; Rally is the traditional handling you’d expect; and Hillclimb provides ultra-grippy, twitchy cars that speed through Pikes Peak with little difficulty. Even though all three modes are fun to play in, Rally is definitely the strongest suit, but this is more of a glowing recommendation for the core discipline rather than a hit at the other two. 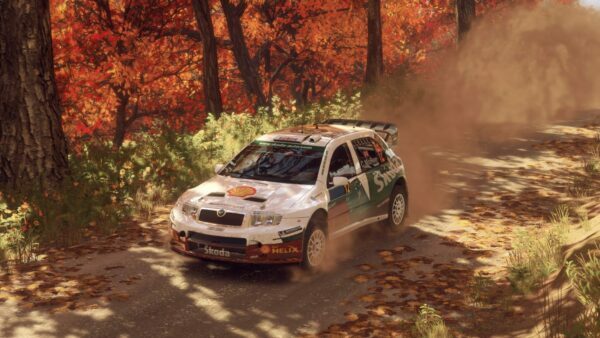 Graphically, DiRT Rally is the most impressive Codemasters title to date. The EGO 3.0 engine tosses the previous iterations’ sightly muddy and blurry look to the side in favour of atmospheric lighting and bright colours. The surroundings vary from the lush floral fields in Germany, to the ice-cold misty forests of Sweden – each locale is represented beautifully. One particular favourite aspect of the graphics is the level of ‘depth’ everything has. For example, mountains don’t look like ‘shells’, but seem like they are actually dense objects just as they would be in real-life. 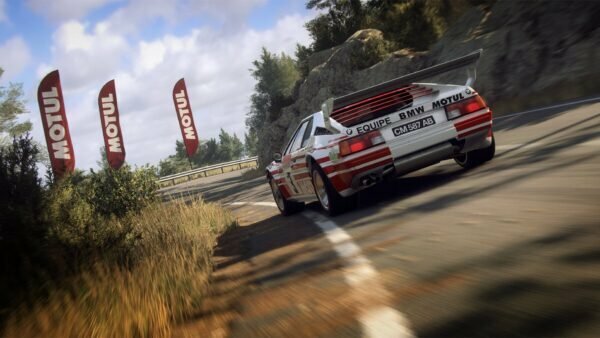 It sounds like something basic, but a lot of games fall flat in making accurate geographical elements, and for a motorsport that takes place in the thick of nature, it’s especially commendable Codies have put the effort in. Car models are also well crafted, although not quite on the level of some other titles this generation. Full cockpit views and a great level of damage, as expected from Codemasters at this stage, make the overall graphical fidelity work brilliantly for the title. Unlike certain visually striking racing games this generation, DiRT Rally doesn’t skimp on the frame-rate and resolution getting an impressive steady 1080p/60fps on PS4 and 1080p Dynamic Resolution/60fps on Xbox One. I can safely say that DiRT Rally has the best racing genre performance on PS4 with no game really reaching the lofty heights Codemasters have set. It’s a technical masterpiece and the effort that would have been put in reaching this pays incredible dividends, the immersion is unparalleled as the game runs smoothly with barely any blips outside of a few pop-in scenery pieces way in the distance. A final key area that DiRT Rally impresses me in is the control options that players can manipulate as they please. The game can be adjusted in areas like launch control, traction control, and ABS to allow casual players to find a more comfortable drive. 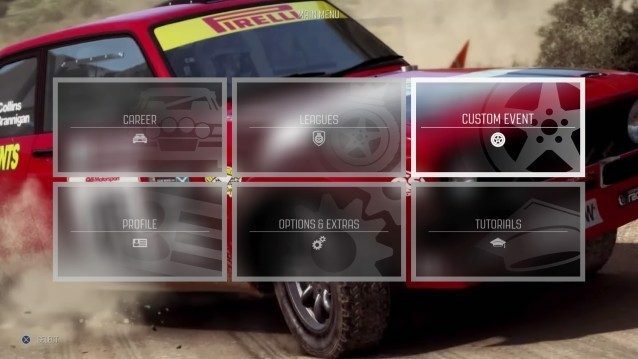 Mirroring similar functions from Race Driver GRID and older DiRT titles, choosing a more safe set-up will impact how many credits you receive for competing. For those wondering, the game plays incredibly well on DS4, unlike some other sims: a wheel or hours of fiddling in menus is not necessary to enjoy the game. The controls are fully adjustable and you can make a button set-up that suits your controller/wheel. 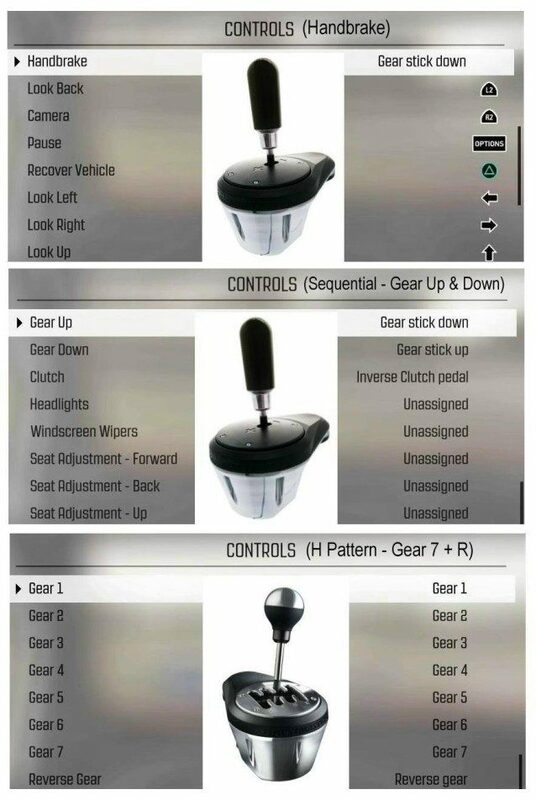 DiRT Rally also includes extended support for the Thrustmaster TH8 shifter allowing sequential gearing, H-Pattern gearing and using the stick as a handbrake. Use the following settings below to make full use of this functionality. To sum up, DiRT Rally is the definitive racing package available on console right now from the standpoint of feeling complete and giving a consistently (heavily) enjoyable experience. If no patches were to release past this point for DR it wouldn’t make a difference to the enjoyment of the title – it is a breath of fresh air in the age of games releasing with a ton of problems, or being finished 6 months down the line. The ‘test drive’ phase PC players got to participate in last year has built the title into something truly special. For those wanting some information about optimum force feedback settings for Thrustmaster steering wheels, check out the following! You’ll also want to join in the fun in our DiRT series forum section!